The AFC Women's Asian Cup is taking place at the moment in Jordan. With the tournament now down to the last four with the semi-finals taking place this Tuesday the 17th April. Both games will take place at the King Abdullah II Stadium. The first match will see Australia face Thailand. Meanwhile, the other semi-final taking place will be an all East Asian encounter as China take on Japan. In the women's game in Asia, these two sides are right at the top so this should make for a cracking match up. Japan are the current champions having won the tournament in Vietnam in 2014 beating Australia in the final 1-0. 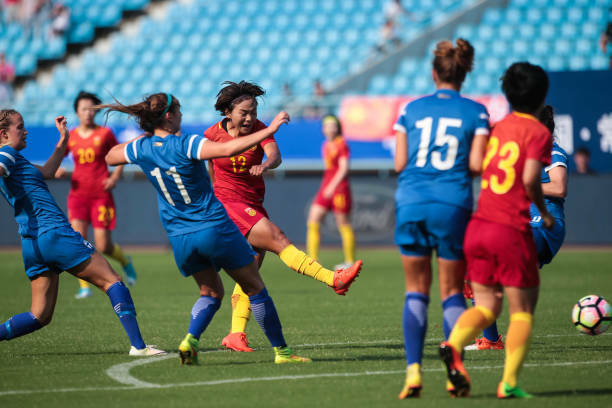 On the other side, China has won the Women's Asian Cup a record eight times. Though their last win was back in 2006 and since then China has not dominated the women's game in the same way. China enters this game having finished the Algarve Cup 11th out of 12 teams last month so will be looking to improve. It would seem like China have improved, however, this is evident in their great form so far in Jordan. As the Chinese got out of Group A with maximum points while scoring 14 goals in the process it can see the confidence is back on the up. Meanwhile, Japan won one and drew two finishing second in Group B behind Australia. They also only managed five goals in the process. It could be argued that Japan face tougher opposition, however. China would are in confident mood as their Icelandic coach Siggi Eyjolfsson believes they have what it takes to withstand any challenge. As the coach said after defeating host Jordan 8-1 to win their group “Throughout the group stage, we could only beat the teams that we were drawn to. Of course, we know there will be tougher opponents waiting for us in the semi-final, but we are confident that we have a team that can beat anyone who is put in front of it on a good day.We know the three teams who could be there. They are all ranked higher than us at the moment, but that does not mean that we can't beat them, we have every belief that we can win." As both teams can win this Tuesday it looks like being the team that can play their best game and not the occasion that will come out on top. China has the chance to win their ninth title and after their impressive start at the moment few would bet against it.